Running a startup SEO agency has given us room to grow. I still remember when we launched Getsomecola in November 2016, we were anxious if we will ever see this day. But lo and behold, hard work does pay. SEO effort included….. but only IF you do the right strategy. I guess just like in business, no matter how much hard work you do, if you’re not doing it right, it just goes to waste. For SEO in 2018, there is so much at stake if you keep on doing the wrong things all the time. It’s fine to experiment and test, but later on, you need to value the time invested. There is always cost involved. 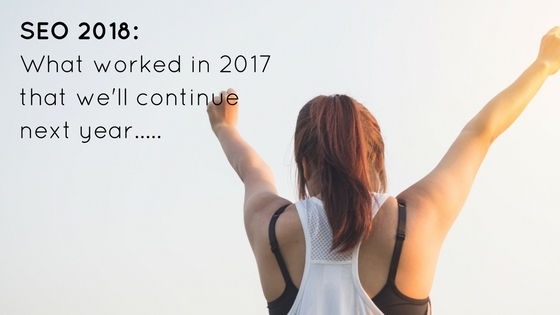 So without further ado, let me share with you some of the SEO strategies that really worked for us in 2017 (based on experience and data!). Actually, some of these are pretty standard and aged BUT are still effective. Hence, we plan to continue/optimize the same SEO strategies this incoming 2018 — unless a drastic move by Google happens. We hope not! If you want a quick fix to bring back fresh traffic to old, dormant blog posts or pages, this is the way to go. Whenever we launch a new blog post or page, we make sure to keep linking to related blogs and pages we made in the past. It not only brings a fresh boost of traffic, it also increases your page’s topical relevance because you’re interlinking related content together. 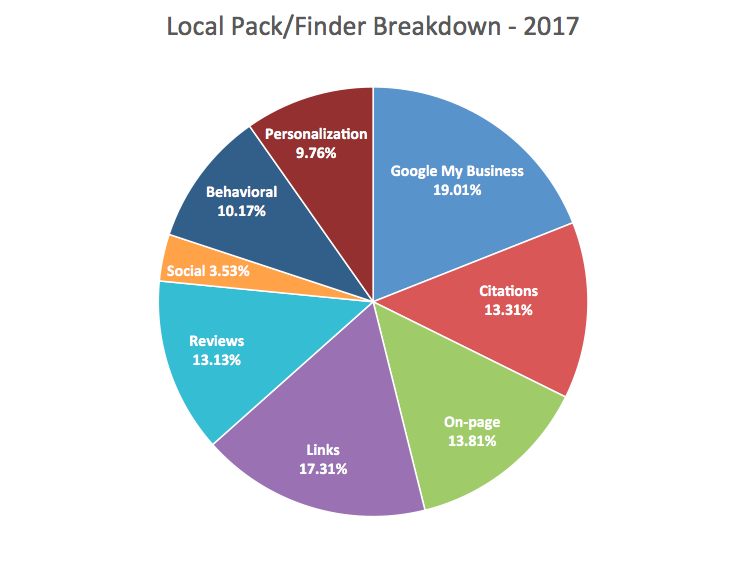 Based on Moz’ study of local SEO factors, they found out the importance of citations is on a decline (-22%); while Review signals’ relevance increased by +21%. Although both are perceived to be equally significant, the direction that Google takes in ranking search results seems to favor businesses with more, qualified reviews. As with any brick and mortar business, word of mouth is very powerful. The decreased emphasis on citations compared to the increased emphasis on link and review factors, is reflective of shifting focus, … citations are still crucial to laying down a proper foundation in local search. We’re just getting smarter about how far you need to go with them. We were handling a simple inquiry-based website. Users are directed to ask for a quote on the website. The products are mostly custom-made wooden garden sheds. Typical local business with almost zero repeat customers (because you only buy a garden shed once). After adding schema product tags on each shed, we saw traffic and rankings rise significantly. Having trouble getting visibility for a load of long-tail search phrases? Try creating Big Foot Pages! These are long-form content landing pages that work around a particular content theme. Because it’s long-form, you’re given the opportunity to target a larger set of keywords. Very important that you craft a piece that answers user’s queries. It has to be useful/helpful, and not spammy or forced. Plan your headlines and sub-topics intelligently to cover discussion using your long-tail keywords. Because in SEO, we’d like to prove that we’re not only a “nice-to-have”, we need to show them conversion data. This is another take to remind us that business owners would like to see how SEO, or any marketing initiative for that matter influence their bottom line. So don’t be afraid to add some call to action elements, lead forms, and other conversion drivers on key pages of your site. We particularly like HelloBar’s floating horizontal bar. It’s so effective, it has increased our client’s conversion rate after 3 months by, drum roll please…. 227%! Link building can be frustrating given the time you invest to get a link. But because Google keeps the Penguin filter on, the most organic way to win some on-topic links is through an outreach. Guest posting also works because people are happy to get their dose of exposure on the web. I’ve written a successful outreach project for a national brand here. At first, we were cautious that we might hit the duplicate content trap, but republishing your posts via Medium.com or Linkedin proved helpful in widening audience reach, not to mention the additional inbound links from these. Key here is to republish after a few days to a week, and always credit the original source/link where it got published first. As web standards have it, speed is of primary importance on multi-devices. I cannot emphasize this enough. A website’s usability like speed performance is a ranking factor. Some SEOs say that we should conserve our link juice especially if you’re handling a well-established website with high domain authority. That is true. However, I recommend new websites to practice linking to other sources of information, especially if you are referencing an authoritative piece of content. Check out this study by Reboot online that says websites that link to outbound sources improve their rankings. Backlinko also notes down that this is a white-hat strategy of increasing your traffic. He recommends linking to good, external sites 2-4x every 1000 words. Key here is to link only to high-quality content sources because your outbound links are a reflection of you. So keep in mind link relevance and quality. Finally, this. And we cannot deny this anymore. Search and social go hand in hand in promoting a page, a blog post, an infographic – anything under the sun. Discovery begins with social media awareness. The drive to take action happens when the user found your site after doing a search online. Regardless of whether a link is followed or not in social media, it is a powerful force in driving traffic and upping your vote/signal of confidence to Google (just like user reviews). This is definitely a mainstay for our SEO in 2018 strategy. This 2018 in January, Rowell Austria of Pinoy Online Professionals and yours truly will offer an SEO + SMM Masterclass Course as a bundle. We are opening slots for FREE PRE-REGISTRATION to all beginner freelancers. The class also works great even for veteran freelancers and marketers who want to add to their skillset.